Stay cool with our luxurious 4.5 tog synthetic duvets that will keep you fresh and composed during warm summers. Stuffed with 100% Polyester Hollow fibre filling, our duvet will furnish you appropriate cosiness and quality sleep that you have always longed for. Available in lavish casing like poly cotton, our deluxe 4.5 tog synthetic duvets will keep you comfy even on warmest nights. 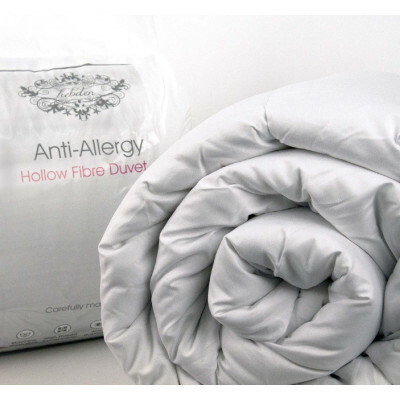 Hollow fibre poly cotton synthetic duvets are available in three sizes single, double and king. Pick up according to your preferences and enjoy hassle free nights.